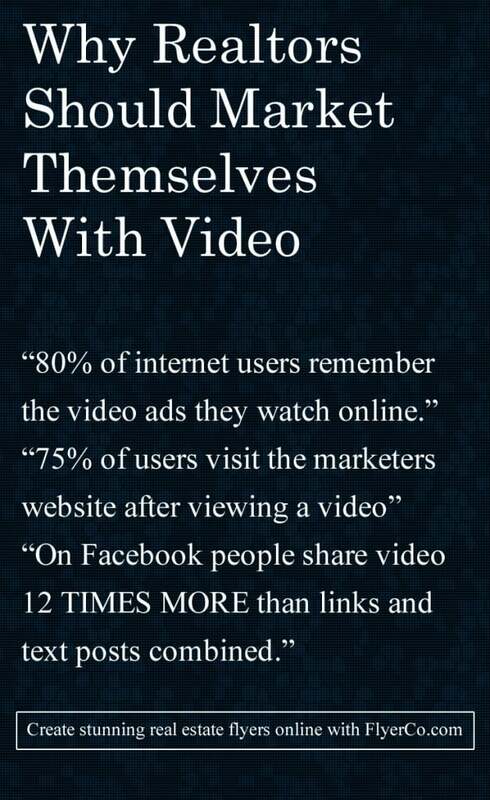 Video is one of the most effective forms of advertising on the planet today. Most people are lacking in this department because creating great videos that are actually entertaining is hard. With technology becoming more advanced, that’s not the case anymore. 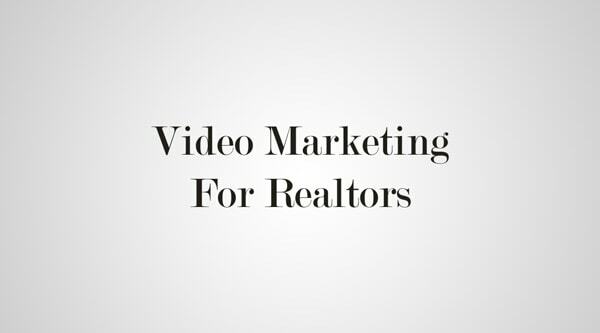 Adding video to your real estate brand is a great way to set yourself apart from the competition. An article is good for long term benefits of SEO and short term of being able to put a new piece of content in front of people for a day. A great video you’re going to be able to use forever. No other tool can instantly build a brand and an emotional connection with your prospects right away. Now you almost feel like you know some of them right? All it took was a single video. Through social media + content marketing it takes a lot longer to build that trust with someone. Video is the key to your prospects heart. The great thing about having your own high quality real estate video is that you won’t have much competition. In the advertising space, that means you’ll pay less for your ads. On Facebook that means your video is 12x more likely to be shared than posting a blog post, that’s you getting more out of your money and blowing your competition out of the water at the same time. Remember those ads you see on YouTube with the skip ad button? I bet you didn’t know that when you skip the ad, the advertiser pays nothing. This allows you to advertise to more people and only pay for the ones who are the most engaged. There is also a side benefit of increasing your brand awareness from people who don’t watch the full ad. They still heard your name and if they see it again on Facebook you’re going to start building trust with that prospect. Show up in their search every time they type in your city. The amount of Realtors that make videos and advertise them is low that you can easily brand these keywords on YouTube with no competition. Don’t be afraid to make a targeted video at your favorite hobby. Maybe you want to work with people who like golf, build an appealing video for them and YouTube will let you target an audience that has similar interests. Imagine this: I go to your site… It’s awesome but, I leave anyway. If you have a remarketing pixel installed then you can still advertise to me. Next, I go to YouTube and all the sudden I see you right before my favorite music video! That’s definitely going to make me take another look at your site. Surprisingly enough, you can find some very talented video production companys on craigslist under the creative section of your city. Always check their portfolio before hiring them. Another way is to do a Google search with “Your City video production”. This is where you’re going to find the best video production agencies but, they’re also going to be the most expensive. Even if you have the budget to higher one of these agencies, it’s worth checking out craigslist first. There are some talented people out there that work for themselves and can offer better pricing because they don’t have overhead costs like a big company. You don’t have to start with a video as high quality as the ones shown about (although that’s the best way). There are some free/paid resources you can use to make animated videos which can do just as well. The opportunity is endless and the bar is high. Creating a high quality real estate video can be costly but, the pay off is huge especially considering the amount of people doing it. It’s an easy way to win your audiences heart and set yourself apart from the competition. The most important factor in creating video is to make sure it’s quality. Quality does not mean super high def video with superb editing, it’s the same with content. Define quality by how well it’s going to entertain your audience and how it’s going to position your brand. This is your brand that’s going to be in front of your prospects taking up their time, whatever you make your video about make sure it’s worth it for them. Entertain your audience and you’ll be rewarded with brand loyalty and shares. Thanks Cody. Glad you liked the article 🙂 YouTube is a powerful under tapped tool in the real estate industry. “Poor Agents”. If you’ve done your homework this should come as no surprise. 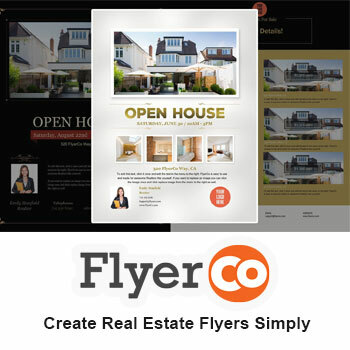 According to popular real estate marketing blog FlyerCo, 75% of people who watch your video on YouTube will then visit your website.